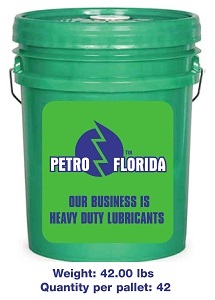 Petro-Florida manufactures and distributes various hydraulic fluids. We carry different grades of anti-wear hydraulic oils, biodegradable elevator fluid and many more. Delivery in Miami available. for hydraulic drives, hydraulic transmissions and circulating oil systems of various units, machines and mechanisms that make up the equipment of industrial enterprises. The hydraulic actuator can not operate without a liquid working medium, which is a necessary structural element of any hydraulic system. reduction of working clearances between the parts of the working element (output and receiving cavities of the hydraulic system), which tightens the requirements for the cleanliness of the working fluid (or its filterability in the presence of filters in hydraulic systems). be compatible with hydraulic system materials. Most mass grades of hydraulic oils are produced on the basis of well-purified base oils obtained from ordinary petroleum fractions using modern extraction and hydrocatalytic purification processes. The physico-chemical and operational properties of modern hydraulic oils are significantly improved when they are introduced into them functional additives – antioxidant, anticorrosive, antiwear, antifoam, etc.